Vermin, wear and tear, accidents and the purchase of a new dryer are all reasons you may have to change or install a dryer power cord. Changing a dryer power cord is easily accomplished, but requires some thought. 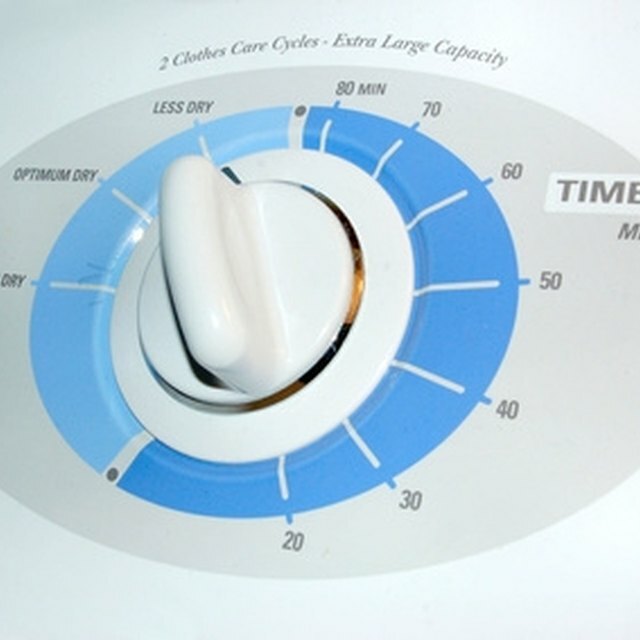 The amperage of the dryer and the length of the dryer power cord are factors to consider. Once the amperage and length of the dryer power cord are determined, purchase the required dryer power cord. Remove the connection box cover. The connection box is in the back of the machine. The connection box is a small metal plate which the current dryer power cord juts out from. If there is no current dryer power cord attached, then find a small metal plate with a small ¾-inch hole in it. Typically, there is only one screw holding the connection box in place. Remove this screw with the nut driver set. The size of the screw may vary, so find which nut driver is needed. Insert the dryer power cord into the ¾-inch hole. Remove the three connection screws form the dryer connection box terminal. The nut driver set will be needed to accomplish this. Connect the three mounting screws from the dryer power cord to the dryer terminals. The center terminal is ground. The left and right terminals are hot. Do not connect the center dryer power cord to the hot terminals, and do not connect the outer dryer power cords to the center (neutral) terminal. Insert the three connection screws. Tighten the screws firmly, but do not tighten it too much, or else the terminals may be stripped. Replace the connection box cover. Turn on the dryer to verify that it works.